When the topic of link building strategies is brought up, it’s usually followed by some confusion as to how these tactics actually work — and that’s totally understandable! 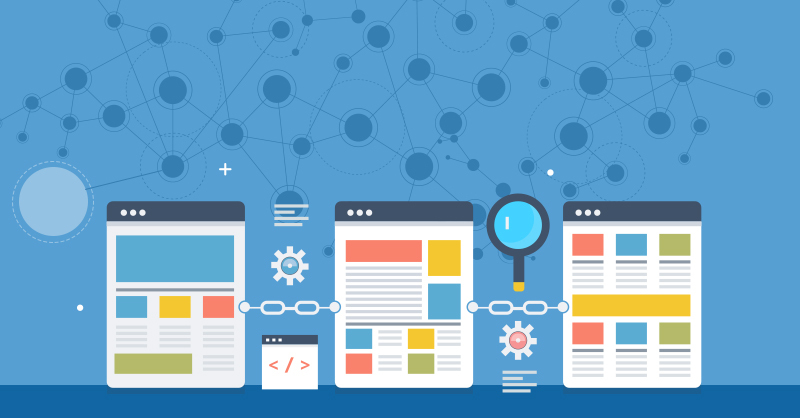 Up until the last five years or so, the art of advanced link building techniques was shrouded in mystery, with most SEO experts opting to hold onto their “special sauce” rather than sharing it with the community. Not only are thought leaders in the industry unveiling their best types of backlinks in SEO, they are publishing step-by-step guides and even developing software and tools to help with the process of link prospecting and placement. At the time of writing this blog, this link building guide by Brian Dean has been shared almost 10k times. If there was ever a time for marketing professionals, content creators, and business owners to empower themselves with a deeper understanding of off-page search engine optimization techniques, that time would be now. As you may have guessed by the title of this blog, one of our favorite link building strategies involves utilizing advanced search operators to uncover websites related to a particular keyword or niche that are actively looking for writers and contributors (that’s you). A search operator is a query that involves a particular order of words and characters to generate a specific search result. Why would a website owner publish your content on their site with a backlink? The biggest challenge for any and every blog or editorial style website is having enough content to satisfy their audience and remain current. By opening up their submissions to the public via guest posts, website owners can have a steady stream of content pieces submitted, often times for free. It’s a win-win situation: they get fresh content for their website, and you get your article published with a link back to your site or web page, which can improve your website rank in Google. Copy and paste search operator into Google, replacing “keyword” with your actual topic or broad keyword phrase. To get the best results, try to search using broad topics and phrases related to your business. 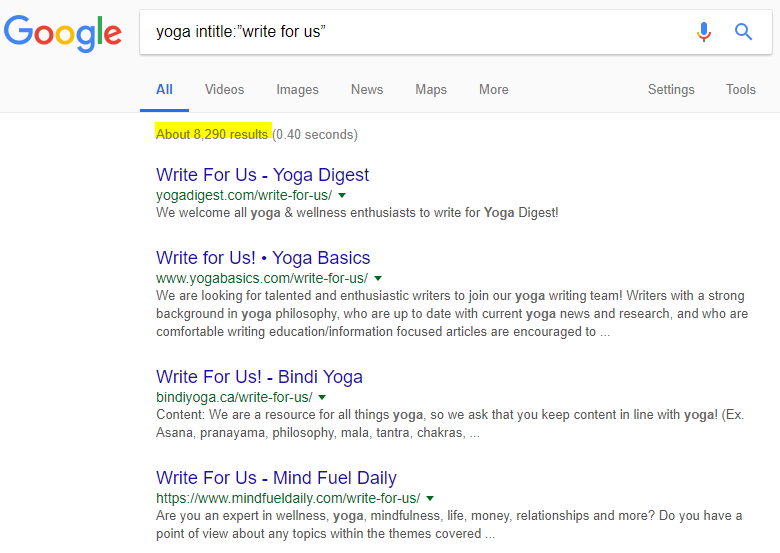 From one search operator and one keyword we’ve now uncovered 8000+ websites looking for people to write yoga related content! As tempting as it may be to scrape every one of those results into a spreadsheet using something like Web Scraper, try to avoid the temptation and stay focused on quality over quantity. Go through each of those search operators, put in the topic you want to write about, and enter the sites you like into a spreadsheet organized by topic. Personally, this is the fun part. As I mentioned, it’s not about contacting every single website that’s looking for content on the topic you’ve selected — it’s about contacting the right website. Because the true benefit of guest blogging is in the relationships you build with other thought leaders in your community, who also happen to write for or own websites and likely have large email lists and social media followings. These relationships are critical when it comes to your long term SEO and content strategy. So, you have a list of awesome prospects who are looking for content on your topic. The next step is to use paid (or free) tools to gather some metrics about that website, which will help you validate them as qualified opportunities. Which metrics should I pay attention to when link prospecting? Domain Authority (DA) – Is a search engine ranking score developed by Moz that gauges how well a website can rank in the search engine result pages. Spam Score – Also developed by Moz, spam scores are calculated out of 17. The lower the score of your prospect’s website, the better. Anything over 3 is too high. Website Traffic – How much traffic the blog gets each month and from where. If you’re trying to improve your website rank on Google.ca, then acquiring links from websites that receive Canadian traffic would be beneficial. Social Media Following – How many followers does the website have on Twitter, Instagram, Facebook etc. Are the lights on or off? Blog Subscribers – Does their blog have RSS or email subscribers? Will the blog you contribute be distributed throughout their subscriber list? Blog Comments – Is the blog dead in the water or active? If you see zero comments on every single blog post this might be cause for alarm, depending on the type of content. Post Frequency – Do they post content every day? Three times a day? Or three times per year? Again, just get a feel for whether or not this is an active community. Number of Backlinks – Are other websites actively linking to the blog? This is where the real “SEO juice” comes from. Getting a backlink from a website with a lot of backlinks ensures authority and trust passes on to your domain, boosting your ranking. 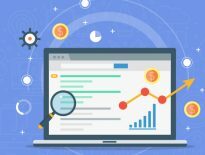 What are the best SEO tools for website analysis? 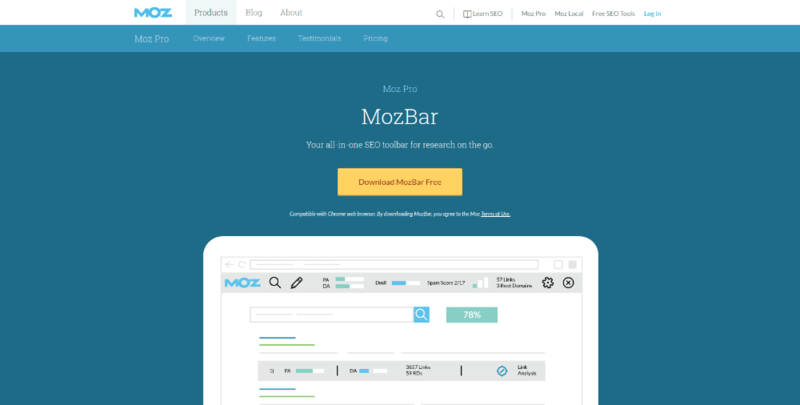 MozBar (Free) – Coined as “Your free all-in-one SEO toolbar for research on the go,” MozBar has become a standard for SEO analysis among amateurs and professionals alike. MozBar will give you metrics such as Page Authority, Domain Authority, # of Backlinks, and Spam Score. Ahrefs Toolbar (Free) – Ahrefs has quickly become one of the leading all-in-one digital marketing tools out there. With their free SEO toolbar, you can pretty much pull any metric on a domain, whether it’s one you own, a competitor, or a prospect. We personally find it to have the most accurate backlink database out of all the tools available. SEOquake Extension (Free) – With over 3 million downloads to date, SEOquake has definitely solidified its position within the SEO tools marketplace. Quickly audit domains on the fly, pull social, domain, and backlink metrics in one convenient browser extension. This is more of a toolkit, with a SEObar, dashboard, SERP overlay, and keyword analysis modules. Note: Each of these SEO tools offers a paid or pro version, which requires a monthly subscription. Are they worth the price tag? Absolutely. Under no circumstance should you rush your detective work? Be a stickler for quality and have a clear idea of the type of websites you want your website to be associated with. If this stage is done correctly, not only will you gain backlinks but you will also gain referral traffic, subscribers, and fans — all of which help boost your trust and ranking. Anyone can leave a comment on a blog, or post up a question on a web forum for an “easy” backlink — but do those links really stick? Not really. Link building has transformed over the years into link earning, and the practice of earning relevant, high-value backlinks for your business has evolved into such tactics as guest blogging, press release submissions, sponsored content, and content marketing. As we’ve demonstrated today, with a little bit of search prowess and some detective work, almost anyone can uncover awesome opportunities to acquire backlinks, make connections, and grow your business online. 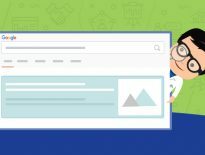 Do comments for link building still have an SEO value? Thanks a lot for sharing such an informative post with us. I have got a lot of new things from your site. Nice work keeps it up.